I have been a classic car collector for 35 years, first time listing to sale 60 of my 70 classics, need to make it more manageable. gccc.us This is a very nice automobile. The interior upholstery is in very good condition. The engine runs extremely well and the power steering, brakes and all other safety features work as they should. There is some discoloration on the bottom of the rear window where the defogger wires, however, this does not interfere with line of sight. 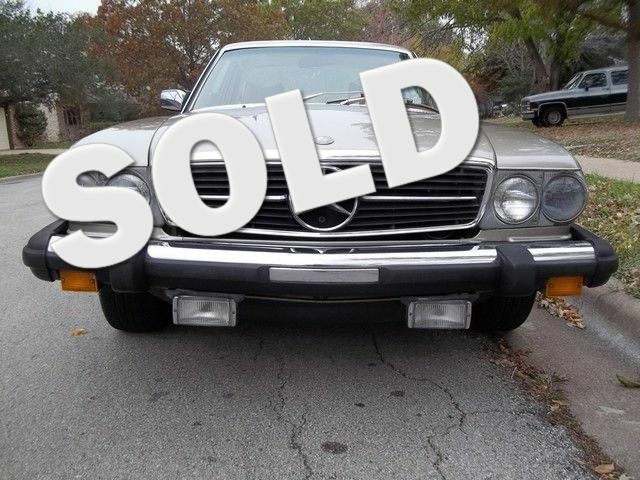 1976 Mercedes-Benz 450 SLC was the flagship of the entire Mercedes-Benz line at the time. It was also the most expensive Mercedes-Benz in the line and they were regarded as the most luxurious sports car of the time.